Marvin E. Becker, age 86, formerly of Clitherall, died Saturday, September 1, 2018, at the Brandon Assisted Living in Brandon. Mass of Christian Burial is 11 a.m., Friday, September 7, 2018, at Our Lady of Seven Dolors Church in Millerville with Fr. Peter VanderWeyst officiating. Music is provided by Voices of Joy and Heavenly Harmony. Burial will take place at the church cemetery. 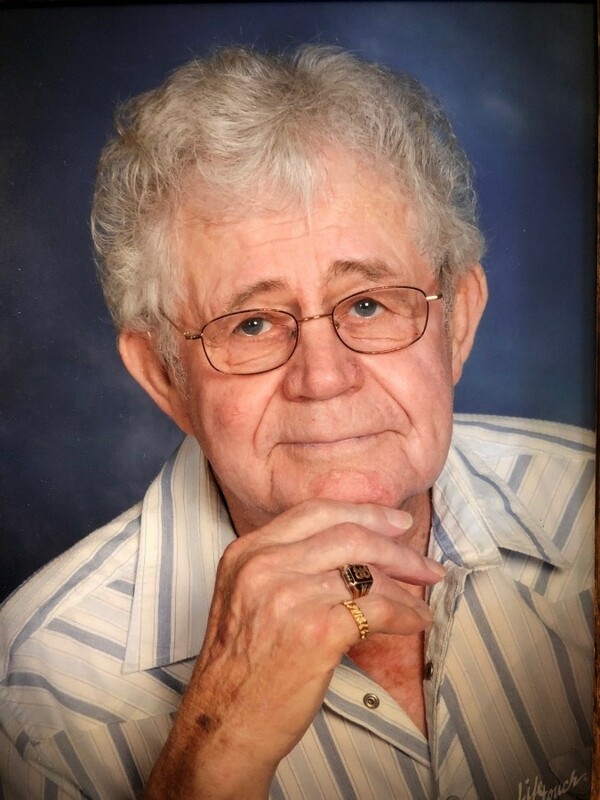 A visitation will be held 5-8 p.m., with a 7:30 p.m., Knights of Columbus Rosary, Thursday at the church. The visitation will continue one hour prior to the service at the church. Marvin Edmund Becker was born on March 5, 1932, to Hubert and Louise (Roers) Becker in Parkers Prairie. He grew up in rural Urbank and attended Sacred Heart Parochial School. Following his education, he worked on the family farm and later purchased it. He was a life-long rancher, buying and selling cattle with his brother, Harvey for many years. He was united in marriage to Fern Olson on October 21, 1957, at St. William's Catholic Church in Parkers Prairie. Marvin and his wife, Fern sold the farm and moved to live near Inspiration Peak in the early 1990's. They enjoyed spending winters in McAllen, Texas. His wife, Fern died in 2007. Marvin continued living at home until moving into assisted living in January of 2016. He loved golfing and enjoyed two holes in one during his life. He also enjoyed bass fishing, deer hunting and spending time with his grandchildren. Marvin was a member of Our Lady of Seven Dolors Church, Knights of Columbus, and was a charter member of the Urbank Lion's Club. He was preceded in death by his parents; wife of 50 years, Fern; two sisters, Thelma and Leona; and four brothers, Lloyd, Norbert, Herbert and Harvey. Marvin is survived by his daughter, Missy (Noel) Becker-Cook of Clitherall; brother, Lester (Joan) Becker of rural Vining; two grandsons, Nathan and Jacob; many nieces, nephews and cousins; special friend, Viola Becker of rural Vining; and life-long friend and cousin, Kenny Benzinger of Parkers Prairie. Pallbearers are Kevin Becker, Shawn Becker, Richard Stich, Mark Becker, Randy Olson, Vic Benzinger, Lonnie Albers and Tim Jansen.